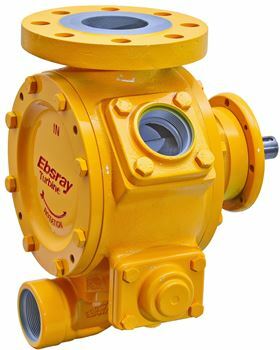 Ebsray’s R75 Series pump, designed for the unloading of LPG tank trucks. Two PSG Dover brands, Blackmer and Ebsray Pumps, will be showcasing their products at the 31st World LPG Forum 2018, which will be held in Houston, Texas from 2 – 4 October. Blackmer, which manufactures positive displacement and centrifugal pumps, and reciprocating compressor technologies, will be exhibiting its pump and compressor products for use in the transport and handling of LPG and Autogas. Blackmer’s sliding vane pumps are designed for cylinder filling, motor fuelling, bulk transfer, vaporisers, and on bobtails and transports. The company will also feature its LB Series oil-free reciprocating gas compressors which have been designed to deliver high efficiency in handling liquefied gases. Ebsray, which specialises in the design and manufacture of regenerative turbine and positive displacement pump technologies, will be featuring its R75 Series pumps, designed and precision-built for the unloading of LPG tank trucks. The company’s RC40 Series pumps will also be on display. The motor bracket of the RC40 fits NEMA and IEC B5 and B14 motors. Finally, Ebsray will be showcasing its RX33 submersible pumps, which have been specifically engineered for high pressure pumping of LPG, Autogas, propane and butane from underground or aboveground storage tanks. Blackmer and Ebsray will be sharing Booths 49/50 at the LPG Forum. Blackmer, part of PSG, a Dover company, has introduced the SX1B-DEF Series sliding vane pump.